How about the best of everything by miniaturizing the growth habit of Den. Hsingying Frostymaree by the addition of Den. bellatulum ! 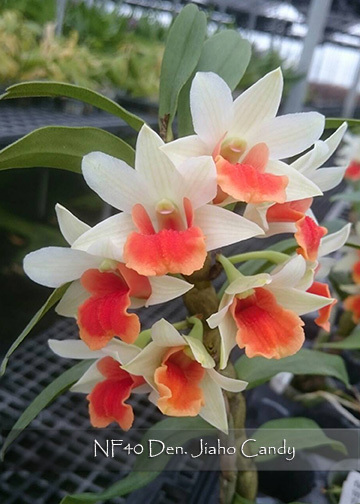 This new miniature hybrid has already received several awards from the Taiwan Orchid Growers’ Association (TOGA) and TOBS. A remake of the cross that received an Award of Quality from TOGA, Den. 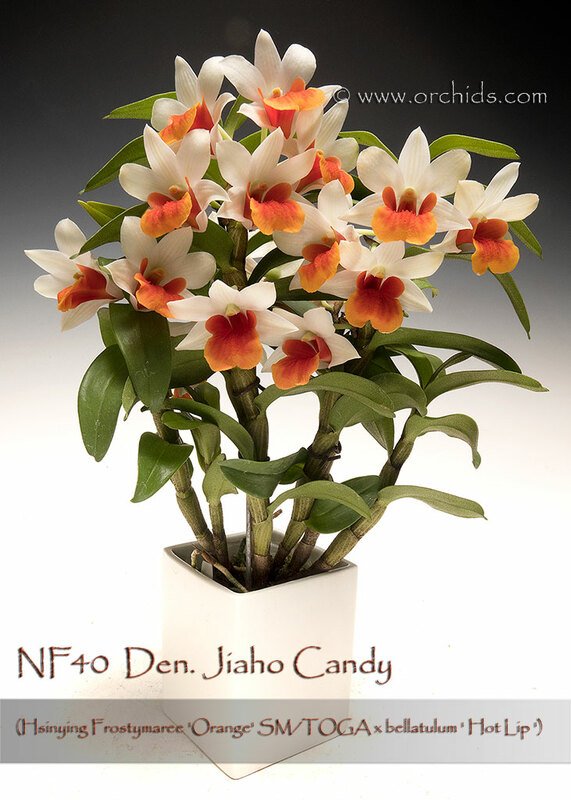 Jiaho Candy produces multitudes of creamy white flowers with the accent of stunning orange lips on its black-haired canes. Its brilliant long lasting flowers can be produced several times a year, its most floriferous season being in the spring. A very temperature tolerant hybrid, it can be grown under warm to intermediate conditions and under strong to medium light. Limited and Highly Recommended !